Laurance, vetted by the U.S. Naval Reserve, rose to the rank of lieutenant commander during the war, assigned to the Bureau of Aeronautics as liaison between the Navy and aircraft production plants - despite huge financial investments in Hitler's Holocaust machine by family-owned businesses, as documented by George Seldes and Charles Higham - who dreamed of transforming the postwar world with advancements in communications, nuclear power, aviation and computers. The defense industry fostered experimentation with new technologies and they intrigued Laurance Rockefeller, especially those with the potential to significantly transform everyday life. When Hitler's Germany rolled out the armaments to flatten Europe, young Rockefeller launched into an intense study of military aviation. He joined the Institute of Aeronautical Sciences, was a director of Eastern Airlines and a trustee of Air Affairs, a quarterly international journal. Laurance and his brother Winthrop mustered the Air Youth of America, an aviation training program. Laurance may have been less visible than his brothers, but he was equally steeped in the sordid world of covert intelligence and disinformation. In the 1950s, he served on a panel that released a report penned by Henry Kissinger, International Security - The Military Aspect, calling for successive escalations in defense spending of $3 billion per year to 1965. In 1973 he was named a director of Reader's Digest, a fount of CIA cold war black propaganda. (To indulge in a bit of necessary guilt by association, Melvin Laird, a Digest officer, is also a director of SAIC, the "remote viewing" sponsor.) 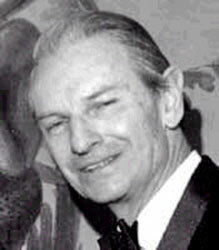 Rockefeller is a trustee of M.I.T., a director of the Alfred P. Sloan Foundation, Olin Mathieson, etc., etc. Renato Vesco traced immediate postwar development of the Nazi saucers to the UK. Vesco, the Italian Werner von Braun, plodded through a detailed investigation of the technology transfer in Intercept, but Don't Shoot, published in 1967. British defense officials, he discovered, hoped to barter advancements in saucer propulsion and design to the United States in exchange for classified nuclear research data. A priority was placed on making the saucers faster, leading to experimentation with a number of rocket propulsion systems. Wind tunnel tests demonstrated the disks could easily slip through the sound barrier when the friction layer was drawn through a multitude of pinholes punched in the hull. Normally, the layer of air that builds along an aircraft's surface slows it down. The air pulling on the craft, otherwise known as the buoyant layer, was eliminated in the saucer design with suction along the entire surface of the vehicle, in place of the conventional jet design. The pinholes sucked away the buoyant layer and pumped the air through a thruster, like an ordinary jet. "to examine the latest British experiments with jet propulsion for military aircraft. He looked into the technology of the German Rockets used in the blitz of London." The author doesn't mention a visit to the British Air Force saucer section, but if developments were shared with anyone, it was Laurance Rockefeller, the most influential military aerospace scion in the country. Laurance and his namesake progeny have been lavish godfathers to UFOlogy organizations that attribute saucer overflights and abductions to the "alien" invasion. A panoply of aircraft defense firms swelled with an infusion of funds from Laurance Rockefeller. The most imposing is McDonnell-Douglas, founded in 1930 by a prodigy of aircraft design, James S. McDonnell of St. Louis. McDonnell shares with Laurance Rockefeller the taint of war profiteering. Periodic postwar investigations of his aircraft company by the General Accounting Office have exposed a deep, chronically overfunded well of fraud. In 1967 the company merged with Douglas Aircraft, the primary subcontractor of Western Electric, a subsidiary of AT&T. However cerebral, James McDonnell had one foot firmly planted in the occult. He was a principal donor to the famed J.B. Rhine psychic research center at Duke University, a forerunner of Psi-Tech, and supported psychic experimentation at Washington University in St. Louis. Professor Rhine and his wife Louisa joined the faculty of Duke University in 1927 to explore the paranormal with Dr. William McDougall, chairman of the psychology department. "Dr. Rhine was conducting the groundbreaking research that demonstrated under rigorous, scientific conditions that certain persons could acquire information without the use of the known senses. He introduced the term extrasensory perception (ESP) to describe this ability and adopted the word parapsychology to distinguish his experimental approach from other methods of psychical research." Among the key early supporters of the Rhine ESP center was Medtronics, a medical technology firm in Minneapolis. The connection is chilling in the context of forced human experimentation. "The company's neurological business produces implantable systems for spinal cord stimulation and drug delivery... The Itrel II spinal cord stimulation system is the most advanced and flexible implantable neurostimulation device on the market today." Another financial supporter of the Rhine center was insurance magnate W. Clement Stone, whose name was the very first on Richard Nixon's list of presidential campaign contributors.